The International Monetary Fund (IMF) has recently released the Third Review for Tanzania under the Policy Support Instrument (PSI), a program that offers low-income countries fund financial assistance to secure fund advice without a borrowing arrangement, indicating that the country recorded a strong Gross Domestic Product (GDP) growth above 7.0% in 2015 and maintained a macroeconomic performance with favorable medium-term prospects. 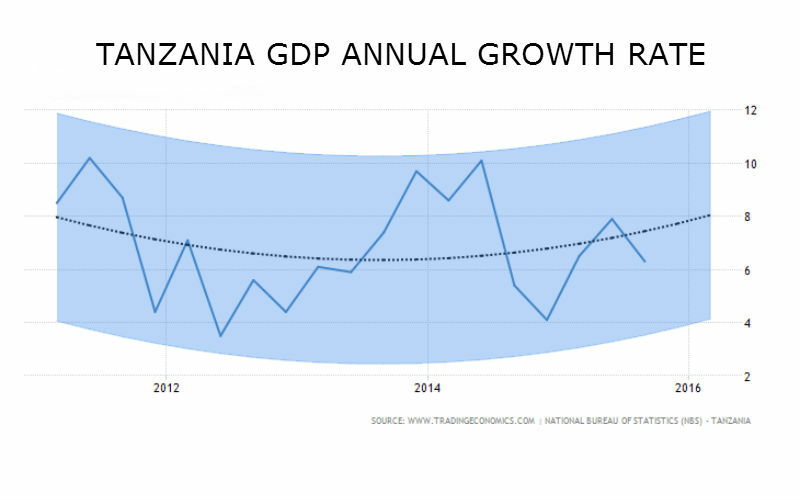 Despite mixed results in the different assessment criteria (ACs) under the PSI due to the general elections held in October, 2015, that slowed program implementation affecting targets for tax revenue, average reserve money and net international reserves (NIRs), the Tanzanian economy remains strong since the GDP growth is on track and the external current account deficit is projected to decrease supported by low oil prices. The overall deficit for the period 2014/2015 slightly exceeded the program target reflecting shortfalls in revenue and financing, however, the incoming authorities have already taken action to strengthen controls and avoid missing future payments then arrears accumulation, explained IMF Managing Director and Acting Chair, Mr. Mitsuhiro Furusawa. This actions would help Tanzania to reduce its current account deficit from the current -11% to -8.3% of the country’s GDP, support an economic growth above 7.0% in the period 2015/2016 and converge inflation to a target of 5.0% in the medium-term since it is expected to be elevated in 2016 due to a weaker local currency according to the IMF. Tanzania is expected to remain as one of the fastest growing economies in the world since it more than doubled the average global GDP growth of 3.3% in 2015 and is expected to achieve same results in 2016 with an average global growth of 3.8% according to the IMF. In the East African Community (EAC) Tanzania is expected to remain as one of the best performing economies towards 2020 with an expected GDP growth of 6.72% beating Uganda with 4.44%, Burundi -0.13% and Kenya with 6.0% according to Trading Economics.